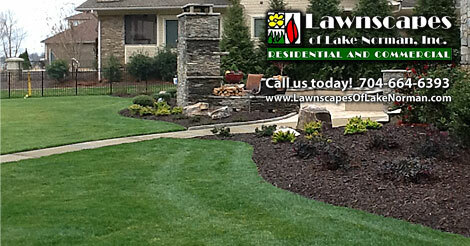 For nearly 30 years, Lawnscapes of Lake Norman has been the trusted partner for Lake Norman area homeowners for their landscaping and irrigation needs. Serving homes and businesses all around the lake, Lawnscapes of Lake Norman, Inc. provides an array of landscape services to meet your needs. No job is too small or too large. We have the passion and experience to make your outdoors an unforgettable experience. We are involved in continuing education with classes and programs to help keep us up to date with the latest trends and construction materials and methods used in our industry. 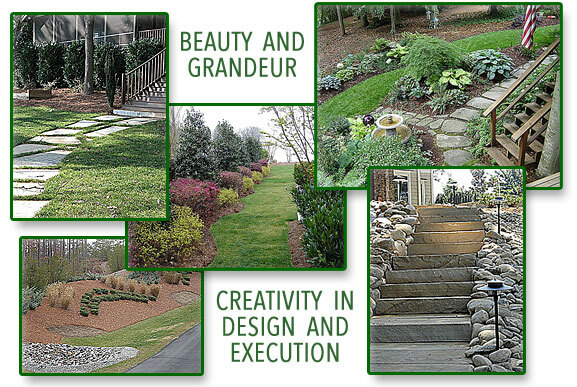 Lawnscapes of Lake Norman, Inc. has a passion for the outdoors and we pride ourselves by taking new clients to meet existing customers to talk and look at our past projects. We guarantee our work!!! Please contact us today for your free quote on any of the landscape services listed below.